How does a poet describe a state in which her senses can’t be trusted, when everything she sees and hears may be unreal? In these spare, unsettling poems, moving seamlessly between terror and unexpected beauty, Gloria Barkley draws us into that fractured, hallucinatory world. Line by line in stark, fragmented imagery she strips the experience to the bone. 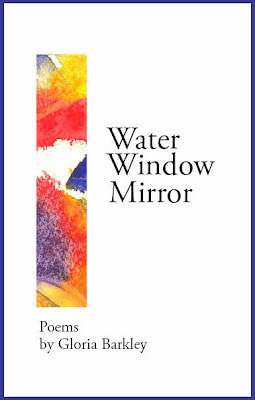 Water Window Mirror has been a delight to produce. Gloria Barkley is a talented, good-humoured, wise woman whose writing it is a privilege to bring to the world. For twenty-two years, Gloria lived with allergy-induced hallucinations, with all the fear, uncertainty, and confusion they produced. Tables came to life, her own children seemed unreal, and yet she carried on, living life with her trademark humour and grace. She raised three children, cared for husband and home, obtained a degree in art, and, luckily for us, discovered and developed her talent for writing. These beautifully sculpted poems take us along with Gloria through apparent mental illness through to a new, food additive- and hallucination-free life. Join us at the Arts Council of New Westminster gallery for the launch of Gloria’s new book. A number of her additive-inspired sculptures will be in attendance. Look for Gloria's full art show this spring at the Arts Council gallery. 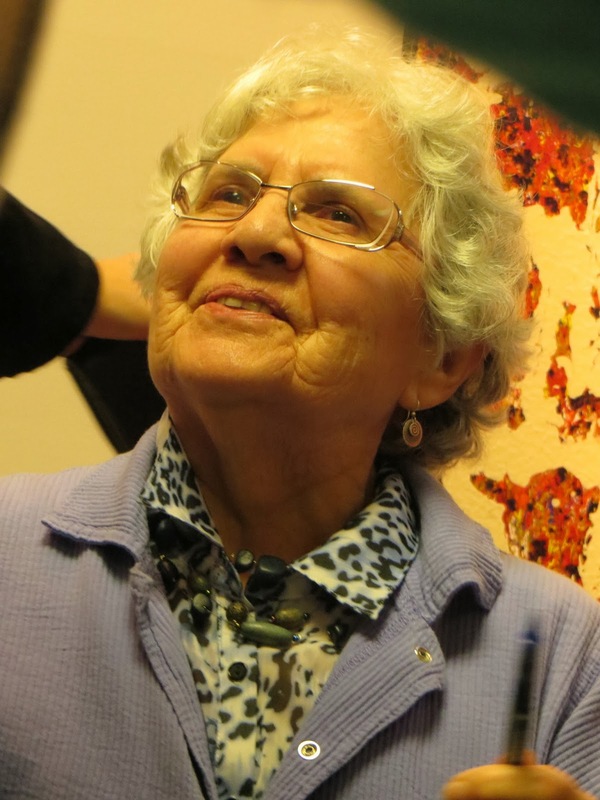 Born in 1926, Gloria Barkley spent her early years on her family's fruit and vegetable farm near Penticton, BC. 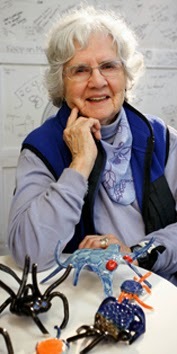 She attended Vancouver School of Art, now Emily Carr University of Art and Design, from 1964 to 1968, and subsequently studied creative writing in various west coast colleges and universities. 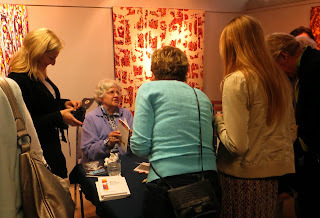 Her poems have appeared in anthologies and magazines such as Event and Canadian Bookman. Her chapbook Stemwinder, featuring poetry, art, and anecdotes celebrating life in the mining town of Hedley, BC in the late 1930s, was published in 1995 by Wet Sickle Press. Today, Gloria hand-builds clay spiders in her Coquitlam, BC studio. Each spider is named after a food additive. These poems disturb and delight with their synesthetic surprise; quietly remind that the writing of a well-crafted little poem requires a long, arduous journey. Imagists’ poetry and Neruda’s Book of Questions come to mind. Thought provoking and invigorating, Barkley moves beyond arresting metaphor to visceral conflation. The sheer physicality, brutality, ironic beauty of Barkley’s language is her own. As a person who supports many individuals with mental health issues, I very much appreciate how well Gloria is able to describe her breaks with reality. Her struggles and subsequent solution show there can be many reasons for mental disorder...Her life has a lot to teach us. She’s an inspiration. Follow this link to Order Water Window Mirror. *The Arts Council Gallery is located in Queen’s Park, annexed to the Centennial Lodge.